We first became aware of Peter King's work when we were working with Sara Lee to apply VSM to production within a food processing facility. Our initial approach of employing typical discrete manufacturing concepts was very hard to apply and the maps were hard for people to relate to. That is when we discovered Peter King and his first book, "Lean for the Process Industries". After a few months of learning from this publication, we created a specific version of VSM for processing industries. That proved very successful and it has now been adopted by many of our clients in the process industry space which include food, chemicals, and pharma. 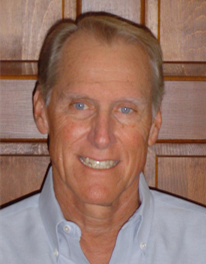 Peter is a lean trainer and consultant with decades of experience in the industry. 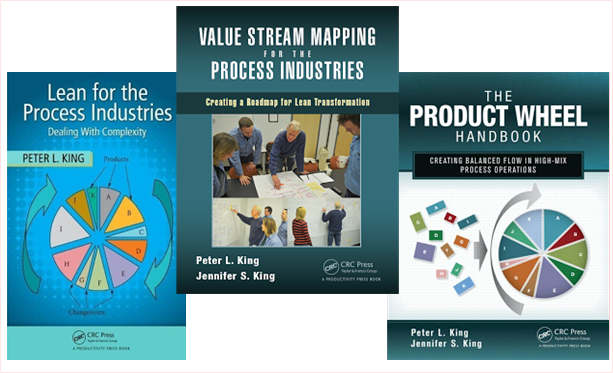 He recently co-authored a second book, "Value Stream Mapping in Process Industries" . We were fortunate to meet with Peter in 2016 and together, we mapped out the case studies (plant and supply network) in the book using eVSM. His leadership, enthusiasm, and lean experience on both technical and cultural aspects is apparent in any conversation with him, and we are proud to have him as a partner. Peter L. King is the president of Lean Dynamics, LLC, a manufacturing improvement consulting firm located in Newark, DE. Prior to founding Lean Dynamics, Pete spent 42 years with the DuPont Company, in a variety of control systems, manufacturing systems engineering, Continuous Flow Manufacturing, and Lean Manufacturing assignments. That included 18 years applying Lean Manufacturing techniques to a wide variety of products, including sheet goods like DuPont™ Tyvek ®, Sontara®, and Mylar®; fibers such as nylon, Dacron®, Lycra®, and Kevlar®; automotive paints; performance lubricants; bulk chemicals; adhesives; electronic circuit board substrates; and biological materials used in human surgery. On behalf of DuPont, Pete has consulted with key customers in the processed food and carpet industries. Pete retired from DuPont in 2007, leaving a position as Principal Consultant in the Lean Center of Competency. Recent clients have included producers of sheet goods, lubricants and fuel additives, vitamins and nutritional supplements, and polyethylene and polypropylene pellets. Pete received a bachelor’s degree in Electrical Engineering from Virginia Tech, graduating with honors. He is Six Sigma Green Belt certified (DuPont, 2001), Lean Manufacturing certified (University of Michigan, 2002), and is a Certified Supply Chain Professional (APICS, 2010).